Hybrid Bose-Fermi systems consist of a layer of fermions, usually two-dimensional electron gas (2DEG), coupled to another layer of bosons, such as excitons, exciton polaritons, or Cooper pairs. The interplay between these layers leads to various novel and fascinating phenomena, interesting from both the technological and fundamental physics perspectives. Hybrid structures are used in light absorption studies of heterostructures, designing nano-devices, realization of Majorana fermions, designing optically-controlled superconductivity, and others. I will report on our work where the Bose layer is made up of condensed excitons and the Fermi layer is made up of electron gas. For the latter, we considered two types of electron dispersions: parabolic (GaAs) and linear (graphene). The electrons are coupled to the Bogoliubov excitations or bogolons from the Bose layer via Coulomb interaction. We developed a microscopic theory and derived the low- and high-temperature dependence of the resistivity. It is shown that the presence of the condensed excitons leads to novel scattering channels and can have a dominant contribution to the resistivity. This is contrary to the conventional wisdom that impurities and phonons have dominant effect at low and high temperatures, respectively. Kristian Hauser Villegas is an incoming postdoctoral fellow at the Nanyang Technological University (NTU), Singapore this July. At NTU, he will be working on the physics of the interplay between quantum Hall effect and superconductivity. He was previously a research fellow at the Institute for Basic Science in Daejeon, South Korea where he worked on light-matter coupling and electronic transport studies on various hybrid Bose-Fermi systems such as electron gas-superconductor, graphene-superconductor, and hybrids involving the Bose condensate of excitons. He obtained his Doctorate and Master's degree at the University of the Philippines Diliman where he worked on lattice gauge theory on curved spacetime and on the spin polaron theory of superconductivity. During this time, he also worked on entanglement in superconductors and on color superconductivity inside quark stars. K. H. Villegas. 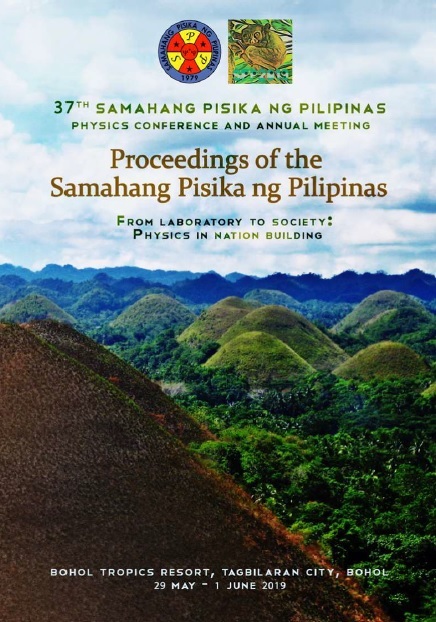 Electronic transport in hybrid Fermi-exciton Bose gas systems, Proceedings of the Samahang Pisika ng Pilipinas 37, SPP-2019-INV-1G-01 (2019). URL: https://paperview.spp-online.org/proceedings/article/view/SPP-2019-INV-1G-01.